Edna Dow Cheney's Louisa May Alcott: Her Life, Letters, and Journals (1889) at Google Books. At Project Gutenberg: http://www.gutenberg.org/files/38049/38049-h/38049-h.htm. What did Alcott read? (from above): "Never a student, but a great reader. R. W. E. gave me Goethe's works at fifteen, and they have been my delight ever since. My library consists of Goethe, Emerson, Shakespeare, Carlyle, Margaret Fuller, and George Sand. 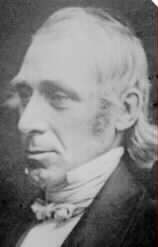 George Eliot I don't care for, nor any of the modern poets but Whittier; the old ones–Herbert, Crashaw, Keats, Coleridge, Dante, and a few others–I like." Biographical sketch by Cynthia Butos at the Heath Anthology site. The Alcotts From PBS's I Hear America Singing site. Orchard House. Includes a color picture of the Alcotts' house and information about tours. Links to Alcott sites. This page at Kim Wells's Domestic Goddesses website includes annotations and pictures as well as links. 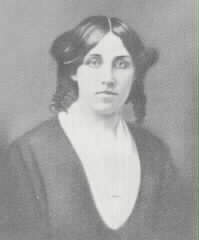 A teacher resource file on Louisa May Alcott from James Madison University. If you shut him up closely with pen, ink, and paper." Rebecca Harding Davis's memories of meeting Hawthorne, Bronson Alcott, and Louisa May Alcott from her 1904 memoir Bits of Gossip. From the Legacy 19th-century American women writers site. Record of Mr. Alcott's School, Exemplifying the Principles and Methods of Moral Culture (3rd ed., revised; 1874) by Elizabeth Peabody. Page images at the Making of America site. Behind a Mask: or, A Woman's Power. Full text at the University of Virginia. Hospital Sketches. The complete text from A Celebration of Woman Writers. Little Women (1868-9) Hypermedia edition at the University of Virginia's Crossroads site (1995). An Old-Fashioned Girl (1870) at the Celebration of Women Writers page. "An Old-Fashioned Thanksgiving" from Eldritch Press. Alcott Collection at the Clifton Waller Barrett Library.